If the White Rabbit in Alice in Wonderland bought insurance and suffered a loss he almost certainly would be an unhappy customer. Why? Recall his famous opening line in the Disney version of the story: “I’m late, I’m late for / A very important date. / No time to say hello, good-bye, / I’m late, I’m late, I’m late.” In the world of insurance claims—often compared to Wonderland—being late is an increasingly intolerable trait. Indeed, even the diligent may find themselves upside down and out of luck. Policyholders today usually are aware that insurance policies contain some form of notice provision. Nonetheless, the many different forms of timing provisions and the varying requirements the law places upon them can be bewildering and can lead to unexpected and unsatisfactory results. Claims-made policies contain a seemingly simple timing mechanism requiring the policyholder to give notice during the policy period (where so stated) when a claim is made against it during the policy period. Seems simple, right? Not so fast. Policyholders in New Jersey suffering a D&O loss recently gave notice under a claims-made policy well within the policy period, although six months after the claim was asserted against them. The New Jersey Supreme Court held, in Templo Fuente De Vida Corp. v. National Union Fire Insurance Company of Pittsburgh, PA, that although the claim was tendered during the policy period, coverage was forfeited because the insurance claim was not tendered “as soon as practicable” holding that claims-made policies have two independent requirements that must be met to satisfy the notice condition. In the wake of Templo Fuente, policyholders who purchase claims-made coverage with an “as soon as practicable requirement” notice requirement have something new to consider, bearing in mind that not all claims-made policies contain this requirement. In the Templo Fuente case, the traditionally policyholder-friendly New Jersey Supreme Court also based its ruling, in part, on the fact that the policyholders were not unsophisticated consumer[s] unaware of all the policy’s requirements,” but instead were “particularly knowledgeable insureds, purchasing their insurance through sophisticated brokers.” Even a diligent White Rabbit would not have seen this coming considering that the policyholder was a company with only fourteen employees, and the insurer was AIG. 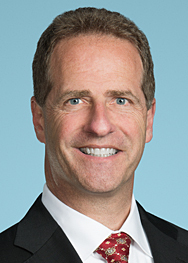 The policyholder apparently could not explain why it had received a complaint, retained counsel and filed an answer before giving notice, and admitted—improvidently—that its notice was not given “as soon as practicable.” These are helpful distinguishing facts for policyholders who will confront this precedent in the future. Notably, the policy did not contain a “duty to defend,” required the policyholder to retain counsel, and only allowed the insurer to “associate” in the defense. New Jersey likely has not articulated the final word on this issue, but policyholders with claims-made policies hereafter may need to consider whether and how they are satisfying both the “as soon as practicable” requirement as well as filing their claim within the designated claims-made period. Unfortunately, today’s insurance landscape presents many other timing-related rabbit-holes for policyholders to tumble into. Many policies offered nowadays classify timing provisions as “conditions precedent,” increasing the risk that a court will find them to be breached if not fully complied with, regardless whether the insurer has been prejudiced (depending on applicable law). The proliferating brands of specialty policies also should be scrutinized for timing-specific provisions. Specialty policies contain all manner of timing provisions. For example, cyber policies often require advance written consent before a policyholder may hire response vendors such as forensic investigators, law firms and public relations firms—a timing requirement that is nearly impossible to comply with in the midst of a crisis. Policyholders learning they have lost coverage for essential costs on this basis truly must believe they are in Wonderland. Takeaways: Do not be late like the White Rabbit. Understand your policies’ timing requirements and satisfy them. 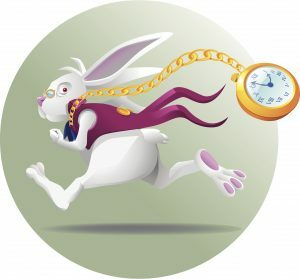 If you are the White Rabbit, delegate to someone you trust to handle the details of insurance notice and other timing and immediate consent provisions.